Week 2 did not go to plan at all, but that wasn’t necessarily a bad thing. I was still able to get some quality miles in and I feel like I am in a good place going forward. After finishing week 1 with back-to-back long runs, I decided to only run once on Monday. An easy 10 miles along my familiar promenade route. I didn’t look at the pace whilst running but afterwards it was a nice surprise to see that such an easy run had come in at under 7 min/mile pace. Tuesday was to be my return to the track. However, rather than go down to the evening Harriers session which would have been fast intervals, I wanted to do mile efforts. 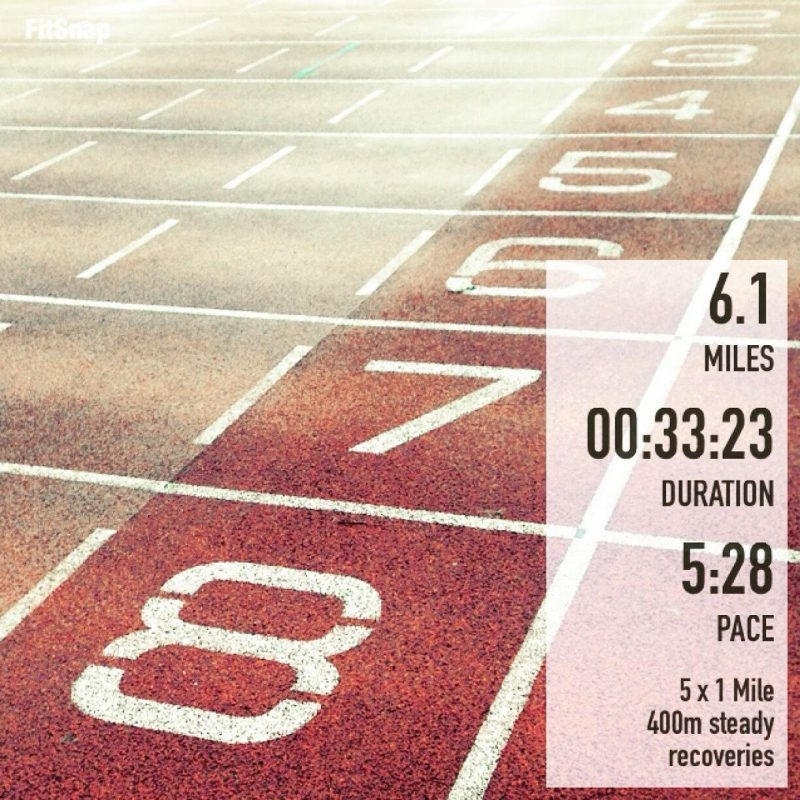 The plan was to run 5 mile efforts with one steady lap of the track as recovery. I wasn’t sure what pace I intended to do these efforts at because it’s not a session I am familiar with. I suppose it is a very similar session to the 5 x 5 minutes which we used to do frequently training with George Gandy at Loughborough University. In those sessions I used to start fast and fade badly in the latter efforts. I think my average used to come out at about 5:15 based on the pace my watch was giving me. The night before I had been flicking through a great book by Gabrielle Collison ‘British Marathon Running Legends of the 1980s’. The book interviews a number of the fastest Marathon runners, and it is inspiring to hear how each of them approached their training. I noticed that 2:08 Marathoner Charlie Spedding used to do this session. He stated that he knew he was going well if he was clocking 4:40 for the miles with a 90 second recovery lap. My legs didn’t feel great during the warm up. Heavy and stiff, but that wasn’t going to stop me doing my session. During my first mile I didn’t really look at my watch as I lapped the track, I just ran by what felt right for this type of session. As I approached the end of the 4th lap my Garmin buzzed for a mile. I hadn’t been running the corners that badly I thought. I continued to the end of the lap. A mile is 1609 metres but 1600 is close enough for me. I wonder what most people do during this session, do they start their efforts 9 metres back? The first effort clocked at exactly 5 minutes. That’s ok I thought for the first hard mile in a long time. I didn’t stop for a breather as I would have if I had done this session before, I wanted to run my recoveries. I was aiming for approximately 90 seconds recovery. Wait, I thought. That’s near enough to 400m at 6 min/mile flat pace. I kept the recovery steady and got back to the start in 95 seconds. I didn’t feel recovered at all. The second effort was a bit of a grind. Not what you want on your second effort. I stopped the watch at 5:10. It was a bit demoralising. When I was looking at my pace whilst running it would read roughly 5s quicker, but the lap feature was vibrating earlier than the full 1600m. As I was struggling, I eased off the recovery lap a little. 1 minute 48 seconds which is about 7:05 min/mile pace was steady enough for me. During the third effort the mind games started to take control. This is when I wish I was doing this session with team mates. I started to question myself. Why am I doing 5 miles in my first track session back. Why not do 3, I reasoned. I can build on 3. It means I can push harder on this effort. I was losing focus. My tired legs were lying to me. They wanted to leave it. I was half-defeated. I ran in the third effort with the prospect of going home a huge possibility. 5:14 on the watch. I was not impressed. Well, I’ll jog this recovery and see how I feel in 400 metres time I decided. It’s amazing what some recovery can do. I felt ready to go again. 5:17 for the 4th rep. I was fading but at least I was out there. An even slower recovery gave me just over 2 minutes before my final mile. I was just happy I had stuck it out. The final mile didn’t feel that bad. The mind seemed okay knowing that it was the last effort. 5:02 was decent to finish the session. Once I was done I was so happy I had stayed mentally strong and finished the session. Yes my recoveries needed to be extended but I was still running them. The session averaged 5:09/mile with the recoveries averaging 7:26 min/mile pace. I am excited to do this session in a few weeks and see what improvements can be made. Wednesday is medium long run day. I decided to do it at a steady-tempo pace on the treadmill. I ramped the pace up to 16.7 kph (5:49) and ran for an hour. As the treadmill was resetting I decided that I couldn’t bear looking at the airbrushed triceps on the wall any longer, and bolted out of the gym. I hadn’t given up though. I decided to do my final 5 miles in the luxury of the freezing cold. My pace dropped but it was so nice to be outside. Thursday I did a steady 10 miles. I wanted to ease off a little ready for a mammoth weekend. Plus the first 10 miles on the treadmill had been a kind of tempo session. Not threshold pace but definitely quicker than my steady pace. Friday I had a really exciting day planned. I was up at 4am to travel to Newton Abbot where the headquarters of Pro:Direct Running are located. The day started by meeting the team and getting a tour of all their facilities. I was really impressed with how passionate about running everyone was. This was a group of people who loved running, talking about running, talking about training and everything else us runners bore non-runners with. The studio where they take photos of the stock was impressive, but the warehouse where all of the stock was stored was even better. A huge room filled with thousands of trainers and items of kit that would excite any runner. I was like a kid in a sweet store. 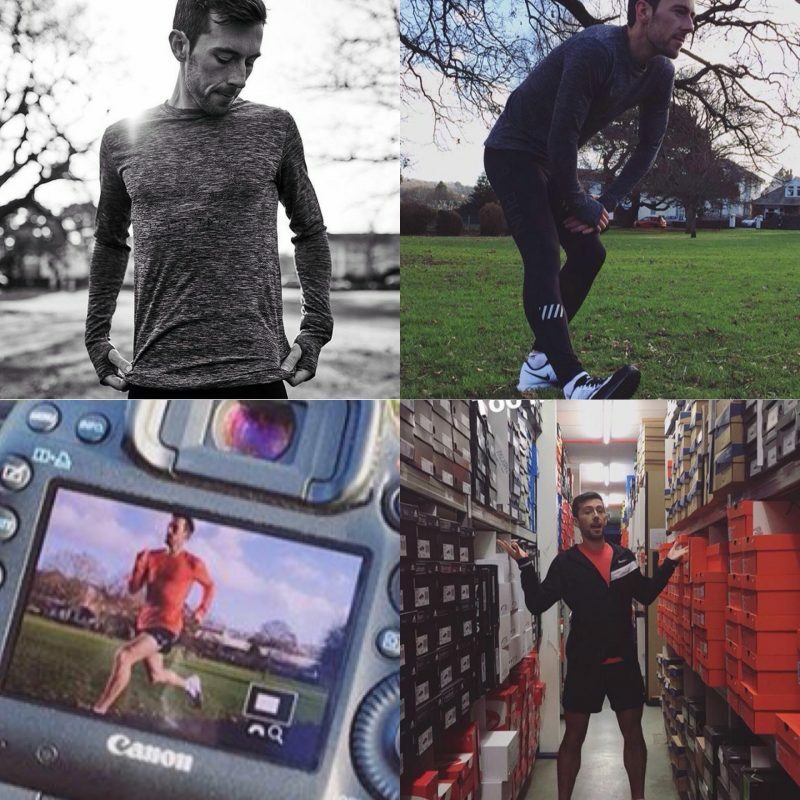 The reason I was visiting Pro:Direct was to take part in a photo shoot and to share my running story with their social media followers. This was a lot of fun. We made some short video clips discussing my background and I had to answer some quick fire questions too. I had scheduled Friday as a recovery day. This meant the intention was to run a few easy miles to loosen the legs and help them recover before a big weekend. So when we headed to the park to try out the new Nike Zoom Elite 9 trainers it was the perfect opportunity to stretch my legs a little. I warmed up as the team set up ready to take some photos. This was very surreal for me but exciting too. 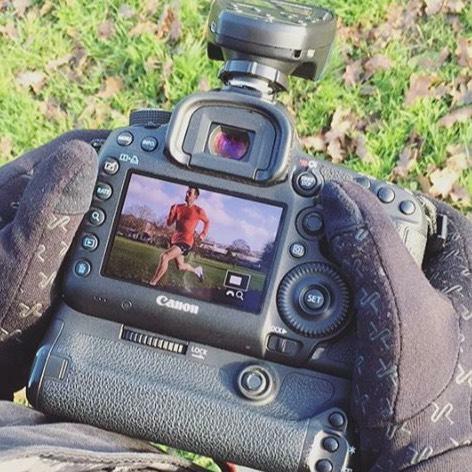 So this is how a running photo shoot works. Run back and fore past the camera. Strides basically. The professional photographer asked me to slow down. Fine by me I thought. It’s funny how much you think about your form when you know you are being snapped. Then I started thinking about my facial expressions. I have seen enough shots of my gurning race face to know how bad these shots could come out. I decided a neutral expression would be best, but after a few strides I realised I was holding my breath. Forget it I thought, just run. The Pro:Direct team explained that they prefer to use real runners in their shoots, and that the difference it makes compared with using models is vast. I’m not sure how many strides I did, but it was plenty. I worked my way around the park doing strides in different kit and different angles, before doing some static poses. This bit was easy. Just do some stretching and look in to the distance. Nailed it. I’m not sure what distance I ran with the warm up and strides but I’ve estimated a mile based on how many steps my Garmin tracked for the day. After some more shots in the afternoon in the Brooks Ravenna 8. We headed back to the headquarters where I was lucky enough to meet one of the directors of Pro:Direct Martin Lake. The term passionate doesn’t do Martin justice. He was energetic, full of ideas, and beaming with enthusiasm. He really knows his running too. He showed a genuine interest in my training and my goals and shared some of his incredible running background. As a 2:24 marathoner aged 21 he was a talented runner, although not really believing this himself with such stiff opposition in the 1980’s. It was great to discuss my plans with him and he ended our encounter with a challenge to beat his time. Challenge accepted. I just need to remember how many seconds over 2:24 he said he was. Anyway, I digress. I ended the day full of enthusiasm for what lies ahead. It’s amazing what saturating yourself in a running environment can do for your motivation. Generously Pro:Direct let me keep the Dosportlive doRUN outfit and Nike trainers that I had been shot in. Dosportlive is not a brand I had heard of but I really like the design and the way the outfit fits. The Nike Zoom Elite 9 trainers look awesome, but I have learnt that looks can be deceiving when it comes to running trainers. They felt great doing strides in the park but I have decided to reserve my judgement until I have run at least 100 miles in them comprising all different types of sessions. So look out for my review coming soon. On Saturday morning after a really easy Friday my legs were feeling as fresh as they get in the midst of 100 mile weeks. So I wanted to take advantage of this and see what sort of time I could run at my local parkrun. I jogged down with huge enthusiasm in the new daps. A sunny Saturday morning, with hardly a hint of wind. Perfect conditions to run low 15’s I thought. That was until I got down to the course which was covered in ice. I started to plan the least icy racing line when I was informed that parkrun was off. A moment of disappointment was quickly replaced by relief as I slipped striding back along the slick promenade. Running hard in those conditions would have nearly certainly ended badly. With conditions too treacherous to run outside I was forced back in to the gym and on to the treadmill. The original plan consisted of 16 miles including a fast parkrun. With a few miles already done I decided to do 10 more on the treadmill. Half hour steady (6:39 min/mile). Half hour at faster than marathon pace (5:25 min/mile). It didn’t feel easy but it wasn’t hard either which is promising. The Sunday was a big day; 30 miles broken into 3 runs. It started with 10 easy miles early. I then ran in the local West Glam Cross Country League. A lapped course consisting of a mixture of very muddy terrain and stony trail. The race went without any hiccups. The course was tough, made even tougher by the fact that spikes weren’t appropriate, and it was difficult to get any grip in the trainers I decided on. However, I felt in control the whole race and was able to win fairly comfortably. With my legs not completely trashed I decided to go out in the evening for an extra 12 very slow miles to make it up to over 100 for the week. In summary it was one of those weeks that I’m not really sure what to make of it. It wasn’t really how I had planned it. It didn’t consist of what I would regard as a traditional long run, but I did do 30 miles on Sunday. I didn’t really have the tempo run I would have liked to do but again there was some faster running involved. There is still plenty of time until London, and I am pleased with how things are progressing. Aerobic efficiency got slightly worse which is frustrating but then again some of my best running was done on treadmills, which I have not counted. 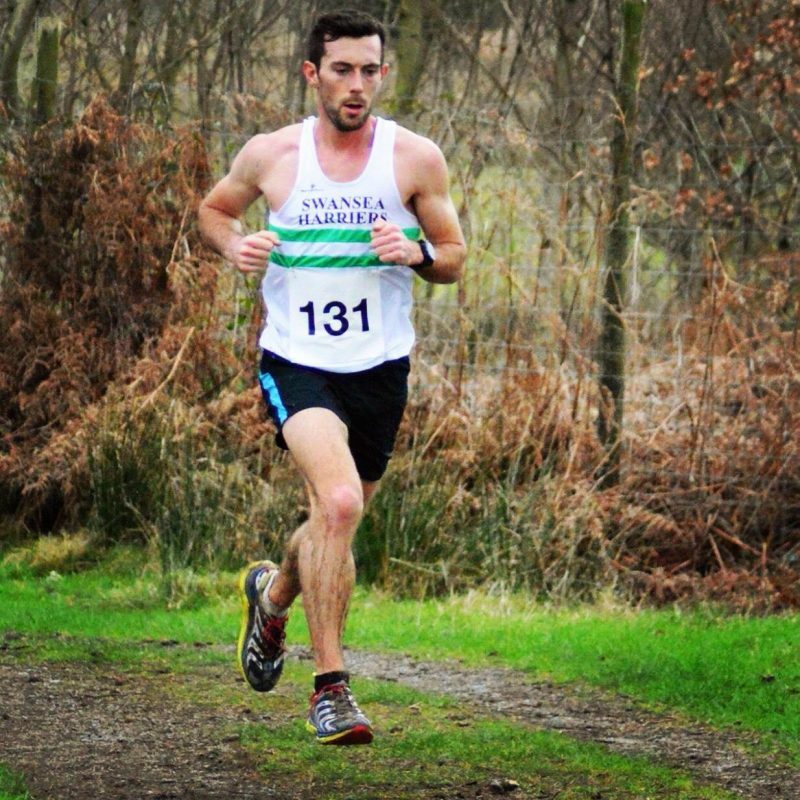 Next week I will find time to get a proper long run done but I am also going to ease back a bit nearer the weekend because I want to be a little fresher for the British Athletics Cardiff Cross Country fixture because it is a great opportunity to test myself against elite athletes. Peak Aerobic Efficiency: 956 beats per mile. Next Post Are these your next marathon trainers? Your book is amazing. It’s so inspiring reading through the interviews over and over. I am going to be introducing reviews to my site very soon and your book will be one of the first to be up there. 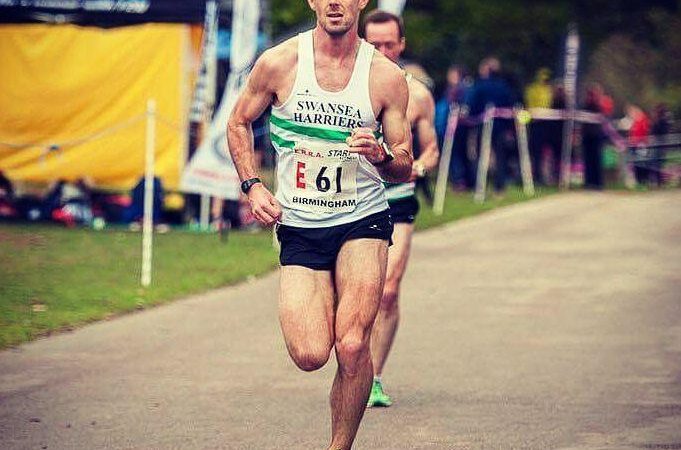 Which Welsh runner was that? One of the legends? Glad I found this blog. Looking to run a 2:31 this fall. How do I find you on Strava? Hard to just do an athlete search. Never mind! Found it. Ha.